I wish I had more time to watch more Asian cinema because I know for a fact that I've missed some brilliant films, especially several of the great titles that has come from the Eastern Eye collection from Madman. Funny enough I was given that chance and Three Kingdoms - Resurrection of the Dragon was one movie that I was forced to watch. But would the old saying of be careful what you wish for come to haunt me? Thankfully not. 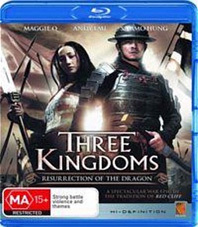 Three Kingdoms - Resurrection of the Dragon, directed by Daniel Lee was a surprisingly enjoyable film of intrigue, politics and some thoroughly impressive battle sequences that looked visually awe-inspiring on Blu-ray. 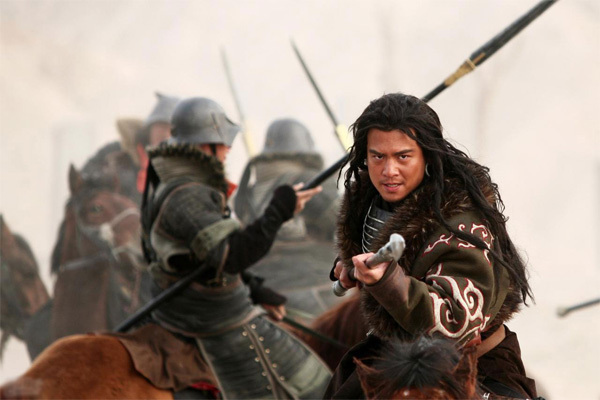 Paying homage to the classic Chinese story, Romance of Three Kingdoms, the main protagonist is Zhao (Andy Lau), a man who chooses to fight for his country, rather than be suppressed by the nefarious warlords who have decimated his world through a violent civil war. Even though the story may sound clichéd, the journey for Zhao is also one of discovery and relationships as under the tutelage of General Liu Bei (Yeuh Hau), he soon begins to rise through the ranks of his army to become an almost unbeatable force. Especially with his deadly assortment of weapons that helps him become one of the 5 Tiger Generals. Of course, every hero needs a sidekick or equal and the man to play this role is Sammo Hung, a real-life martial arts expert that at times acts like Zhao's guardian and advisor. 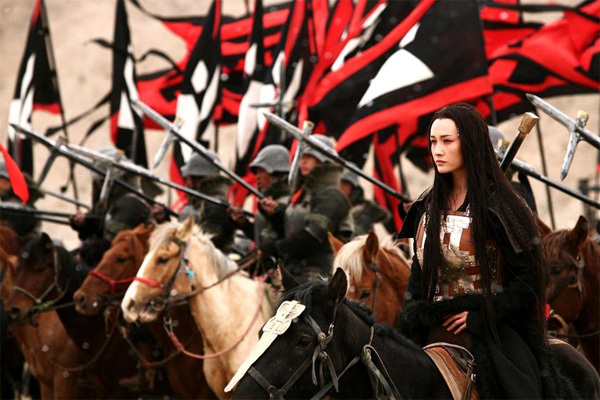 One relationship that should be mentioned is between Zhao and Cao Ying (Maggie Q), another unbeatable warrior who happens to female that is a stark contrast in this male orientated film and provides a good link in grounding our hero. Of course, it's a joy to watch Maggie Q in her action scenes, thanks to the martial arts choreographer and to raise the bar even more, the fights on horseback left me scratching my head, realism or special effects? Of course, not all is perfect in this movie and at times, it feels like the director has attempted to cram too much content into the film and sometimes the viewer needs a break but Lee continues to push on like a wild stampede. As the movie spans over 30-years, for this Western reviewer, keeping up is a little challenging at times but then Lee uses something, like the stunning cinematography or another bloody action scene and once again, you are drawn into the film. On Blu-ray, the video quality is quite impressive for a non-Hollywood film that boasts deep levels of black, sharp images and a vibrant colour palette. However, the highlight of film for me, technically, is the awesome DTS 5.1 mix which sounds phenomenal when the battles begin and at times, sounds like what you image a real army on horseback would sound like. Very cool indeed.